Download "SRL Networks Presents Jessamyn" on The Skunk Radio Live Record Store. The first instrument Jessamyn learned was a drum kit, purchased by her dad at an auction when she was seven. As a teenager, she played drums in the school band and at church, added the piano and the guitar to her skill set, and began writing songs influenced by 90's female singer-songwriters like Tori Amos and the Alternative Acoustic Music at her church. An experienced performer, Jessamyn has put together several small collections of her own songs over the past decade. In 2012 she recorded an album called Ghost & Door Party with Guitarist, Charles Klamut. The collaboration resulted in a sound they described as "existential Alt-Folk." 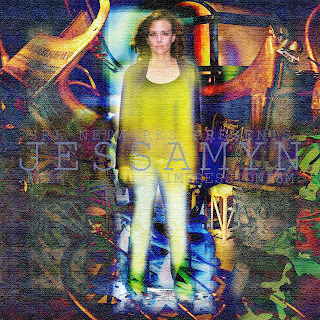 Most recently, Jessamyn released the 2014 EP "Songs of the Living", a collection of new and re-recorded songs. She considers it her best solo release to date. The past few years have been particularly fruitful for Jessamyn as a songwriter, and she is currently working on an album to be released later this year. Listen out for Land Of The Living and other great tracks by Jessamyn on Skunk Radio Live Pop, Rock and Indie Programs.